Today I'm going to share with you the very best American made anti-aging skin care products that I recommend to my clients. 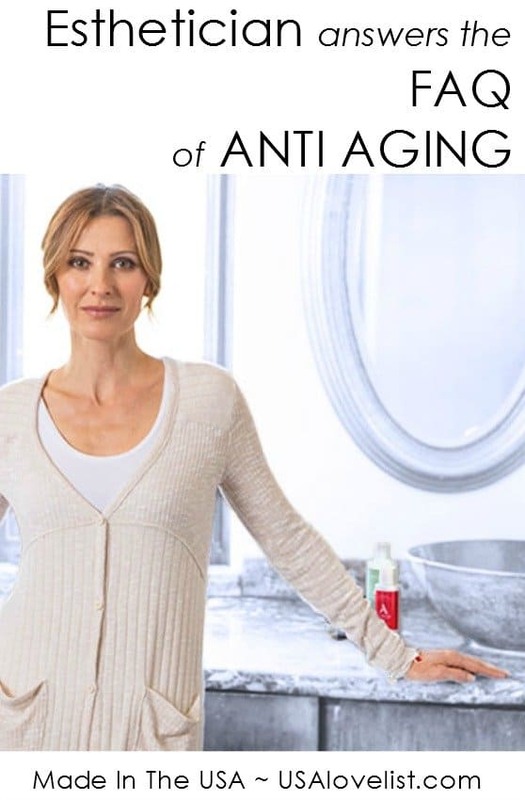 I have taken the most frequently asked anti-aging skin care questions and cultivated a list of go-to solutions you can count on. In a sea of product labels and company claims it's hard to choose. You can rest easy with these selections knowing they were identified for their high-quality ingredients by a professional esthetician. Feel good about the quality of your beauty products and health of your skin when choosing those that are made in the USA. Some people may have specific skin care requirements or restrictions. This list is a source guide of American made products that work for most skin types. Q: What fades dark spots and sun damage? This treatment does it right by targeting the problem using two methods in one cream. 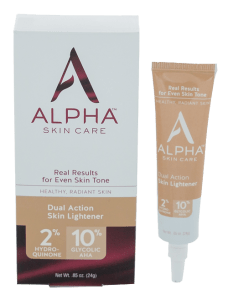 Hydroquinone is the best dark spot lightener on the market but it does no good if it can't penetrate the skin's surface. They have added 10% glycolic acid to get both ingredients working for the skin. Glycolic acid is a multipurpose anti-aging ingredient as it brightens, tightens and increases cellular turnover. In addition to using this targeted treatment, you must use sun protection to prevent further damage and protect your anti-aging results. Q: How do I stop fine line formation? Great to preserve the skin's youth. This is for your 20's, to keep little lines from forming into deep wrinkles. 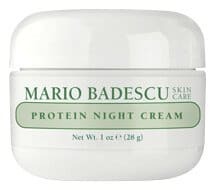 Nighttime is when the skin does the most recovery so packing on a great nourishing moisturizer with antioxidant ingredients will keep your skin youthful longer. This cream is middleweight and promotes elasticity. Q: Can I lessen the appearance of visible wrinkles? Use to soothe stressed skin. The argan oil works with the skins own essential fatty acids to smooth the skin and leave wrinkles looking lesser. When your skin is showing the signs of aging you need a product that nourishes but still allows the face to breathe at night. This lightweight American made facial oil is perfect. This is another great option for lessening those fine lines. 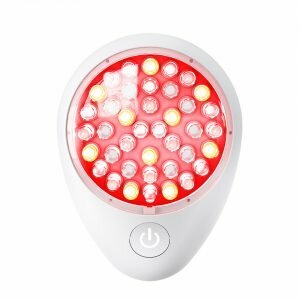 This handheld product uses red light technology to boost your collagen and elastin production from the inside versus topical. Q: What is the best neck cream? We tend to ignore the neck when pampering the face. Make up for lost time with a specially formulated neck cream that counteracts, resists and restores the signs of an aging neck. Powerful ingredients turn up the cellular activity while peptides increase firmness. Antioxidant properties will help to prevent further damage while protecting the skin. 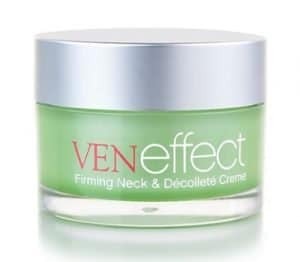 This repair cream provides a smooth chest and neck with more firmness and increased luminosity. Q: What works to reduce under-eye bags and dark circles? I recommend this eye cream most often for its fast acting results. You get some instant, short term firming just by applying it. With regular use, skin begins to tighten and stay well hydrated. Hydrated and firmer skin is the key to helping dark circles become less noticeable. 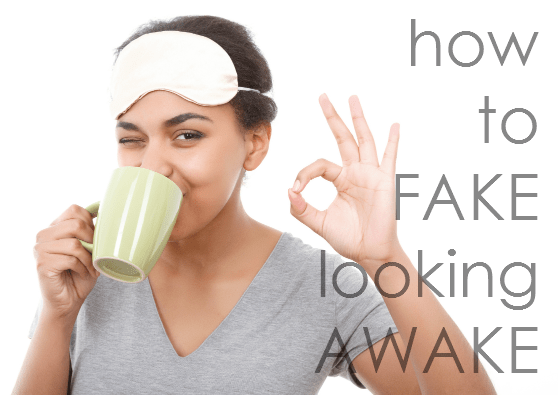 The only way to manage dark circles is by firming and hydrating to keep that skin healthier. This allows less under eye stress to show through. Well-hydrated under eyes make concealer effortless to apply as well. Q: How do I get glowing skin and restore some radiance? This creates luminous skin with balance. Using very little of this product the skin is calmed and redness is reduced. This is a luxury spa serum that allows you to take in the aroma of a treatment and wear the beauty of a fresh facial. It's truly unmatched on the market. Q: How do fix rough, uneven texture on my face? This is a problem solver. These pads will clear pores and exfoliate dead skin cells by just simply wiping them onto your clean face. You do not wipe the solution off. If a breakout is brewing, or you have a problem area, add this to a night's rest and you will wake up to the problem resolving. Routine is as important as the products you select for your face. Consistency provides results. You need the regimen that works for your skin and your lifestyle. A consistent skin care routine is how to get your best skin. Choose American made #skincare you can trust. I’ve tried other Desert Essence products, but not their Restorative Face Oil with argan oil. I wondered if argan oil really worked or if it was just the latest fad. I tried tea tree oil when it was the “in” thing, but it didn’t help with anything, not skin issues, not bug bites, nothing,-just left my skin greasy and medicinal smelling. It’s good to know that the Desert Essence Restorative Oil with argan oil is something you recommend. Oh thank you sooo much for sharing this info with us! I seen a couple of must haves for myself as soon as i get through the holidays. Today I’m going to share with you the very best American made anti aging skin care products that I recommend to my clients. I have taken the most frequently asked anti aging skin care questions and cultivated a list of go to solutions you can count on. In a sea of product labels and company claims it’s hard to choose. You can rest easy with these selections knowing they were identified for their high quality ingredients by a professional esthetician. 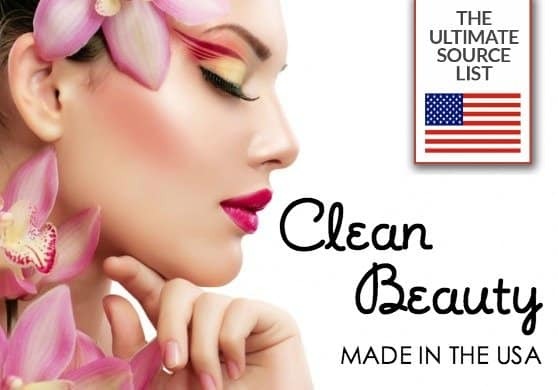 Feel good about the quality of your beauty products and health of your skin when choosing those that are made in the USA. The best anti-aging cream I have used is Monsia, I recommend it. 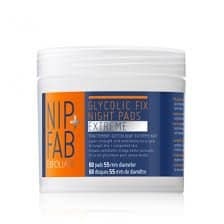 I would love to try Nip & Fab Glycolic Night Fix pads to. I love that it is great for exfoliation. 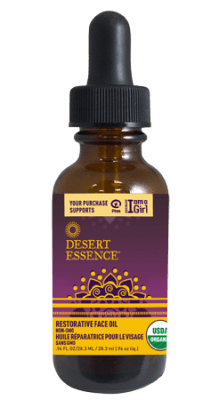 I am impessed and excited about Desert Essence Restorative Oil with argan oil. Thank you for sharing. I have quite a few dark spots on my back and shoulders plus some sun damage as I spend a lot of time outdoors. I’ll have to see about trying out the product that you listed here as I really want to see about getting rid of those spots. Are there other ways to get rid of those spots or would that cream you listed be the best option? Hi Angie. Awesome products! 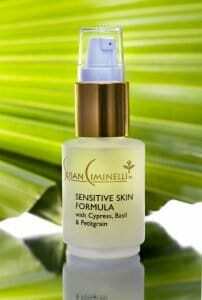 Is it possible to use together with Susan Ciminelli Sensitive Skin Formula? Thanks for your reply.